How Does Seamless Conversion Affect Medicare? Automatic Enrollment in Medicare: What Choice Do You Have? Something seamless should be easy, effortless, and uncomplicated. "Seamless conversion" for Medicare, however, is anything but uncomplicated. This is the controversial protocol that is catching beneficiaries unaware. Private insurers are banking on the fact that you do not understand the system as they push you into unwanted Medicare Advantage plans. To understand how the process works, you first need to understand how automatic enrollment works, who is eligible, and why you may want to choose a Medicare Advantage plan over Original Medicare. Know your rights and put the choice back into your own hands. Original Medicare is so named because it was the Medicare that first came into existence back in 1965. This includes Part A, hospital insurance which covers inpatient admissions and hospice care, and Part B, medical insurance which covers your outpatient costs and observation stays. Part C, also known as Medicare Advantage, however, is an alternative to Original Medicare. It covers everything Parts A and B do but can add extra services to its coverage menu that Original Medicare does not cover. Depending on your medical needs, you may choose to go on a Medicare Advantage plan instead of Original Medicare but keep in mind you cannot have both. Cost-wise, expect to pay more for Medicare Advantage. Most Americans receive Part A for free. That is to say, if you or your spouse has worked 40 quarters in Medicare-taxed employment, your monthly Part A premiums are going to be free of charge. Everyone pays for Part B premiums, a dollar amount that varies based on your income. Medicare Advantage plans have premiums all their own. Although your Medicare Advantage plan pays for your Part B services, you still have to pay monthly Part B premiums. Automatic enrollment in Medicare and Social Security go hand in hand. People actively receiving Social Security benefits will be automatically enrolled in Original Medicare when they become eligible. 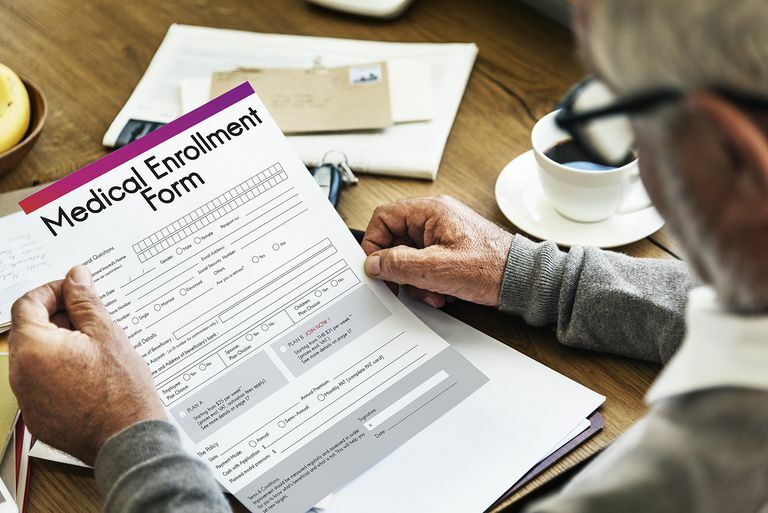 This could happen during the Initial Enrollment Period when you turn 65 years old or after you have been on Social Security Disability Insurance (SSDI) for 24 months. If you applied during the first three months of the Initial Enrollment Period, your Medicare benefits would start the first day of the month of your 65th birthday. When you apply in the second half of the Initial Enrollment Period, your benefits will begin within 3 months (in 1 month if you apply in your birth month, in 2 months if you apply the month after your birth month or in 3 months if you apply 2 to 3 months after your birth month). In the case of SSDI, Medicare benefits would start in the 25th month of your disability benefits. Regardless of the method of automatic enrollment, the cost of your monthly premiums is immediately deducted from your Social Security check. If you want a Medicare Advantage plan instead of Original Medicare, you will have to take the initiative and sign up for a plan. If for any reason you decide you do not want to participate in Medicare at the time of automatic enrollment, you will need to take action and opt out. Be very careful in making this decision. Declining Part A benefits also puts an end to your Social Security benefits. People who are not actively receiving Social Security benefits have to take the initiative and enroll in Medicare on their own. At least they had to until seamless conversion came along. Automatic enrollment can now affect people not actively receiving Social Security benefits. Seamless conversion hands power over to the private insurance companies that sponsor Medicare Advantage plans. If you are on a health plan offered by one of these insurance companies at the time you are eligible for Medicare, whether that is an Affordable Care Act health plan or an employer-sponsored health plan, the company may automatically enroll you in one of their Medicare Advantage plans. Just as there are advantages to seamless conversion, there are obvious disadvantages. Cost. Original Medicare is your least expensive option, but the private insurance company is assuming you will want to pay an additional premium every month for their Medicare Advantage plan. Choice. The company chooses the plan for you. They could pick the most expensive plan to drive up profits, not necessarily the plan that is most cost effective for you or that best meets your needs. Coverage. Do not assume the plan you had before you were eligible for Medicare is the plan you will continue under Medicare Advantage. You may lose access to certain doctors, hospital networks, medications, or services depending on the Medicare Advantage plan that is chosen. The Centers for Medicare and Medicaid Services (CMS) requires insurance companies to apply for permission to participate in seamless conversion. This allows the government to oversee the protocol to an extent. How it plays out in the real world, however, has proven to be problematic. An insurer must give a beneficiary 60 days written notice of their enrollment in a plan. If that individual doesn’t opt out, that enrollment takes effect automatically. The problem is that the mailings from the insurance company notifying the beneficiary of this fact may be buried among the slew of mailings from other insurance companies promoting their own plans. Seniors are getting inundated with marketing material and are confused about their rights. A beneficiary may not know they on a Medicare Advantage plan until they receive a bill for care that was performed out of network or they receive a Medicare Advantage card with a new primary care doctor listed on it.The end result has been high medical bills and loss of continuity of care for far too many seniors. The problem with seamless conversion is that beneficiaries have the option to opt-out but not to opt-in to these Medicare Advantage plans. Simply put, you are put into a plan and forced to cancel it rather than given the freedom to choose it in the first place. The good news is that CMS has put a temporary hold on applications from new insurance plans seeking to participate in seamless conversion. The bad news is seamless conversion is still out there for plans that have already been granted approval. Know your rights and keep on eye out for mailings from your insurance company that may pertain to seamless conversion. You deserve a plan that best meets your needs, both medically and financially. If seamless conversion works in your favor, that is great! If not, do not hesitate to opt-out and choose Original Medicare or an alternative Medicare Advantage plan, with your current company or another company. Crochunis, M. Seamless Enrollment of Individuals upon Initial Eligibility for Medicare. Centers for Medicare and Medicaid Services website. https://www.cms.gov/Medicare/Eligibility-and-Enrollment/MedicareMangCareEligEnrol/Downloads/HPMS_Memo_Seamless_Moratorium.pdf. Published October 21, 2016. Medicare Managed Care Manual: Chapter 2 - Medicare Advantage Enrollment and Disenrollment. Centers for Medicare and Medicaid Services website. https://www.cms.gov/Medicare/Eligibility-and-Enrollment/MedicareMangCareEligEnrol/Downloads/CY_2016_MA_Enrollment_and_Disenrollment_Guidance_9-14-2015.pdf. Revised September 14, 2015. Part C—MEDICARE+CHOICE Program: Eligibility, Election, and Enrollment. Social Security Administration website. https://www.ssa.gov/OP_Home/ssact/title18/1851.htm. What's an HMO and How Does It Work?